Top Sports Medicine Doctor and Regenerative Cell Specialist, Dr. Gaurav Goswami of PreciseCare Regenerative Sports Medicine Gains Dramatic Visibility in Digital Traffic. 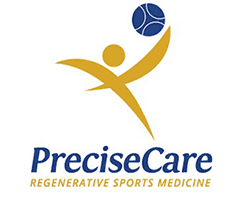 Based in Newport Beach, CA, PreciseCare is an innovative sports medicine clinic lead by Dr. Gaurav Goswami who treats sports injury, joint pain, arthritis, declining performance and more. Known for his non-conventional methods, Dr. Goswami specializes in Regenerative Sports Medicine providing advanced minimally invasive, non-surgical treatments to athletes of all ages and levels with the goal of returning them to optimal performance. Dr. Goswami’s top goals are to generate more patients per month and provide the most superior, comprehensive regenerative cell treatment plans for active people and for pro/ amateur athletes. Also, part of the new digital strategy plan was to upgrade his website to be more user-friendly with higher quality of user experience and crystalizing the messaging to his brand. With the new goals in mind for targeted audience and conversions, we strategized and implemented customized content marketing, on-page and off-page SEO, video SEO and a facelift on the website design. We also aggressively and consistently produced Q &A videos with physical therapist partners and local chiropractors as well as compelling topics for monthly blogs to help patients understand what regenerative cell therapy is and what it can do. Social media marketing was a great branding exposure and syndication medium. From Paid Search side, local calls were generated within 30 mile radius within 30 days whereas in the past before we were hired, not one local call was generated in 2 years prior. From Jan. 2018- June 2018, in 6 months period, the organic search traffic increased to 52% and the website traffic increased by 55%. Online consultation forms increased in volume by 15%, but there were several factors that made the sales funnel more challenging such as having to be medically qualified for treatment, no insurance accepted and having the finances to support the treatment. Upgraded the messaging, branding presence and user navigation of the website. Embedded and included new H1tags and headlines to reflect geo-location. New content generation. Content marketing and strategy for local and organic rankings. Upgraded client videos and personalized Q& A videos. Increased local calls in PPC with higher quality leads within 30 days and generated local and organic search results by 52%. Ranked for top 3 searched keywords in the industry for local search in top 3 positions. Tracked organic and local presence monthly and exposure in top local and organic rankings. The dramatic increase in digital traffic for PreciseCare was a successful venture at 52-55% within 6 months after building out the foundational level of optimization. The mission of SEO, PPC and other digital media was accomplished. Our job was to generate higher volume of leads and branding traffic to push through the sales funnel. Conversions are determined through the internal team.